Internet is a great place to get information that we need, collaborate with colleagues on a work, meet our friends, entertain ourselves and more. With the large assortment of content available on the internet, web browsers have become one of the most-used applications on computers. You can communicate, shop, bank, entertain yourself and even pay taxes online. Business systems are also increasingly being accessed through the web using a browser. Before browsing the rosy content of the Internet, beware of the thorns. so it's important to learn how to protect yourself from the darker side of the Internet. In this post, I will give you a few tips to make you browse safely. Choosing a good browser itself solves major part of the problem. In-fact, most malicious attacks on the Internet occur due to vulnerabilities in the browser. 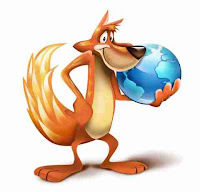 I recommend Mozilla Firefox. Firefox is a very secure, fast and customizable browser. In case you do not prefer Firefox due to some reason, Chromium, Opera and Chrome are other recommended alternatives. In the further discussion I assume that you are using Firefox. Firefox is a free and opensource browser. Click here to download Firefox. Keeping your browser updated is necessary to always keep-up with the latest security threats. Go to preferences in Firefox and turn on "Automatic Updates". Also keep checking your version frequently and ensure that you have the latest. Enable "Tell websites that I do not want to be tracked" option in Firefox. To do this, go to preferences => Advanced where you will find the option. This is an option that signals the website not to track you. Keep your plugins up-to-date. Beware of malicious and unnecessary plugins. Plugins are potentially harmful, so disable/remove unknown plugins time to time. Mozilla plugin checker service http://www.mozilla.com/en-US/plugincheck/ helps you analyze your plugins. Keep vising firefox plugin checker frequently and disable/remove suspicious plugins. Use a master password if you store passwords in your browser. By using a master password, your passwords will be encrypted and make it difficult for others(persons or websites) to crack. To use a master password, goto preferences => security, where you will find an option to use a master password. Using a master password is always advisable even if you do not store any passwords in your browser. Firefox has an addon/extension called "Web Of Trust" (WOT). WOT is a community based Safe Browsing Tool and website reputation checker which helps us to know about harmful websites and also can be set to block harmful sites. It also offers settings to set your sensitivity level. WOT's another cool feature is that it adds an icon beside all the links in web pages (including search results) indicating its rating so that we will avoid clicking on these links. Although cookies are helpful most of the times, many websites and advertisement companies use these cookies to track your online activity. Recently, a new type of cookies called "LSO cookies" or "super cookies" emerged which are hard to delete. REMEDY: To prevent websites tracking your online behavior, install this addon called "Better Privacy". It helps you delete potentially harmful cookies which are otherwise not so easy to delete. URL shortening is a technique using which a URL may be made substantially shorter in length and still direct to the required page. This is achieved by using an HTTP Redirect on a domain name that is short, which links to the web page that has a long URL. For example, http://9.bb/Bldp is a shortened URL which takes you to www.adeekshith.tk. Although shortened URLs are of a great help for sharing long URLs on mobiles, twitter, etc, They are sometimes misused by redirecting users to undesired websites. REMEDY: There is a Greasemonkey script which expands shortened URL on mouse hover. To use it, first install Greasemonkey by clicking here. After installing greasemonkey, "Expand url shortening service urls" script. Cocoon is a Firefox extention (not free $6.95 per month, trial for 30 days) that helps you to browse anonymously and prevents harmful content like viruses to be loaded directly onto your computer. When you open a website with cocoon enabled, cocoon servers request that website and send to you instead of your browser directly interacting with the site. It is not essential for everybody, but a very useful tool at times when you are forced to browse through unsafe websites. Visit http://getcocoon.com to download Cocoon. NoScript is a great extension for a security and privacy conscious user. Unfortunately, it is not an automatic tool that filters "bad" scripts and lets though "good" scripts. You, yourself, need to know what to block and what to allow. You don't need to be an expert, but you should have at least some very basic knowledge how the internet works and edit your allow or block rules accordingly. Although this is helpful, it is not recommended for beginners and casual users as it could be annoying as lot many websites (like Facebook, Google docs, Gmail, Yahoo Mail...) cannot work properly without executing scripts, so you need to always check which scripts to allow and which to block. NOTE: There are many more tweaks that can be made to Firefox to enhance your security. I have listed only a few of them which I felt are essential and are quite easy to perform. Leave your comments below and Don't forget to share this article with your friends. *Tested with the latest version of Firefox (Firefox 4.0.1) at the time of writing this post. Tested on Ubuntu OS, Lubuntu OS and Windows XP. Hope it works on other operating systems and future versions too.